Professional MC, DJ or Disc Jockey available for clubs, parties, BBQs, private and corporate functions and events offering regular dance music or for Indian and Bollywood theme parties. Born and brought up in London, Richi is a pioneer of the Australian Indian dance scene. 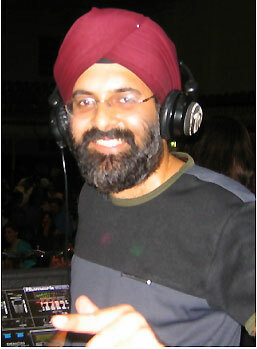 He organised the first ever Bollywood and Bhangra club nights in Melbourne in 1999 and 1993 respectively. He has DJ’d across Australia and overseas including with MTV Europe award winner Panjabi MC and on local and national radio (inc. Radio National, Triple R, PBS and Kiss FM). 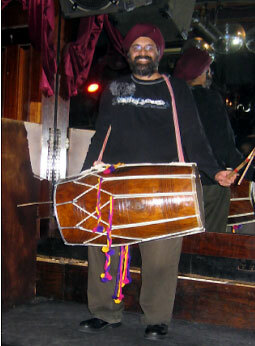 Apart from DJing and MCing, he plays a groovy drum called the “Dhol” (widely featured in Bollywood and Bhangra tracks). As a freelance journalist and commentator on the scene, he has interviewed artists like Apache Indian, Panjabi MC and Rishi Rich and has himself been interviewed by “The Age”, “Spice Lifestyle” (UK), “Rolling Stones” magazine and appeared in the “Herald Sun”. Richi has been DJing and MCing for over 12 years at a wide range of venues and events including major outdoor festivals, weddings, birthdays, dinner dances and club nights. He has played at several dance nights including “Hot & Spicy”, “Love 2 dance” and “One nation under a groove”. In 2005, Richi was invited to perform at the annual Globe to Globe World Music Festival at Namatjira Park, Clayton. He also arranged and participated in a Bollywood item for the Commonwealth Games 2006 Cultural Festival media launch. Richi has amazing energy and loves using the microphone to get the crowd going crazy! He prides himself on his reputation for being professional, listening to his clients and putting one hundred percent into his performances to make each gig a memorable experience. Top 40 dance, R&B, 70’s, 80’s, 90’s, 60’s Rock & Roll, Bollywood and Bhangra.